Constellation Cabaret returns for the first show of 2019 with Love Stories, a look at songs that feature in the soundtracks of first love, lost love, and more. 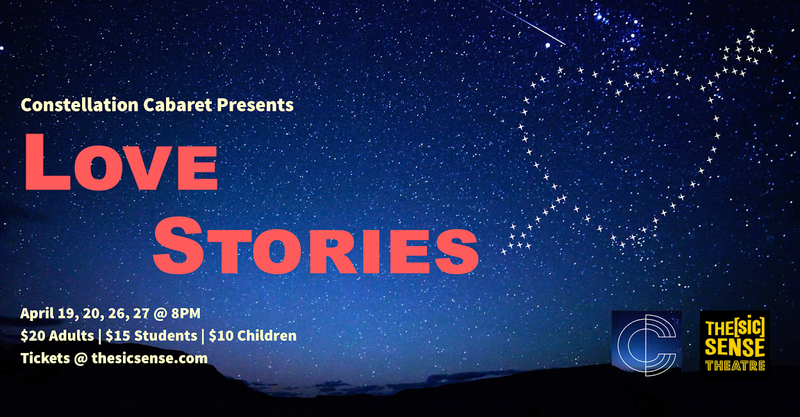 Performers Keilani Akagi, Chris Allen, Erin Benites, Nick Gearing, Bill Dyer, Shandi Ilyse, Ryan Malikowski, Emily Noxon, and Dave Ray share the love songs of their lives and the stories behind them. Featuring Craig Broadbent, Jaimie Clements, Eric Fish, and Patti Swartz in the Constellation Band. Constellation Cabaret brings together musicians and singers from across various Phoenix stages for five cabarets a year. This year, Constellation celebrates it's third year bringing live music to Phoenix!